Heavens, I think you’re going overboard with the sparkles. Cats in the Kitchen - Who Gave Her A First Aid Kit? Metal Snail Idea Workshop » Who Gave Her A First Aid Kit? Yes!!! I love the depth in character! Emotion!! Haaah! I’ve been reading this webcomic since it began and I love it! The art is really original and awesome- and I really enjoy the idea and plot! Rock on j.n.w!!!! Thank you so much for sticking around! I’m really happy you’re enjoying the comic! 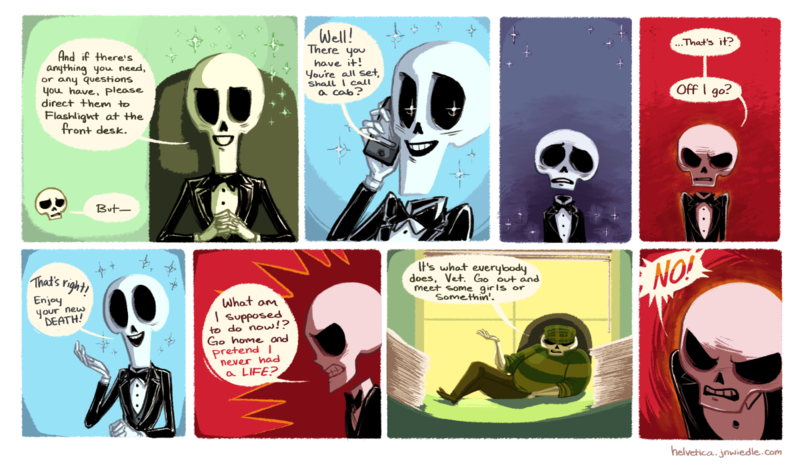 I’ve discovered this comic last week and I have to say I’m completely and utterly in love. On another note, lolololol ‘Vet’. Helvetica will forvever be known by that nickname in my mind.